Some credit counseling agencies are non-profit, while some are for-profit. In most cases, credit counseling agencies set consumers up with a debt management plan (DMP) that often reduces the consumer’s monthly payment obligation. The agencies can do this because they maintain pre-arranged agreements with credit card companies that allow them to lower interest rates on existing debt to a creditor-issued “concession rate.” Benefits of Credit Counseling Counselors teach smart money skills. A true credit counseling agency will spend at least an hour reviewing your entire debt situation and overall financial position. This initial interview should be free of charge. A good credit counselor will evaluate your debt load and how much you are paying in interest and fees. Then he or she can offer advice on ways to get out of debt. A reputable credit counseling program will teach clients budgeting and financial management skills. You can get out of debt over time. With a DMP, your money is deposited each month with the credit counseling agency, and the agency then uses those funds to pay your creditors. Because credit counselors are often able to reduce the interest rates on certain of your outstanding balances, your monthly payment may go down. In addition, the simplicity of having a single monthly payment to worry about makes it easier to stay on top of your bills. Collection agencies will stop calling. As long as you are making payments via a credit counseling program, harassing calls from collection agencies should stop. 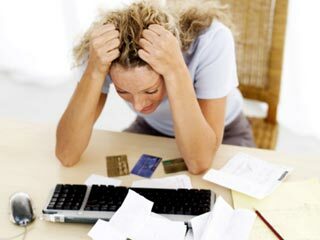 Concerns about Credit Counseling It can be costly, and take several years. Monthly credit counseling fees range from $10 to $15 per enrolled debt account. This might not sound like much, but the standard DMP lasts five years, and total fees can easily mount to $3,000. Principal remains the same. Credit counseling only reduces interest rates. It does not lower the principal amount of debt owed. In five years, an original debt of $20,000 may wind up costing $30,000 when you factor in interest and DMP fees even after the reduction in interest rates. In comparison, you might pay approximately $14,000 (including fees) if you chose a debt settlement option instead. Your credit report may be viewed negatively. Creditors may report that your payments are being made through a credit counseling service, and that the accounts included in the credit counseling plan are “not being paid as agreed.” Many lenders will not issue credit until your debt management program has ended. This could be five years after starting the program. The success rate is low. Credit counseling companies historically have a success rate of about 26 percent. One out of five enrollees leave to “self-administer” a debt-reduction plan, according to the National Foundation for Credit Counseling (NFCC). Furthermore, many consumers who attempt a DMP eventually wind up filing bankruptcy. That’s because payments in a DMP still are more than they can afford. Credit counseling can be a viable option for consumers who would benefit from a lower interest rate and who can stick with the program for several years.